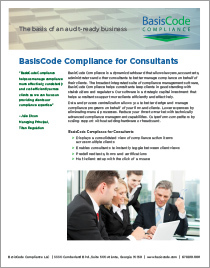 Leverage the BasisCode Portal to engage your staff in maintaining a culture of compliance. Web-based access with reminders and alerts helps ensure the timely exchange and tracking of information among employees and other stakeholders. You can send pre-scheduled certifications and quizzes to score staff knowledge of your policies and procedures. Employees can submit and track personal trading requests; manage their personal accounts; enter gift and entertainment disclosures; fill out ad-hoc forms and route them for processing; report an incident anonymously to designated officers; and access documents published by the compliance team through the online library. Customize security types and set up policies to auto-approve, auto-reject or submit trade requests for further review based on your firm’s policies. 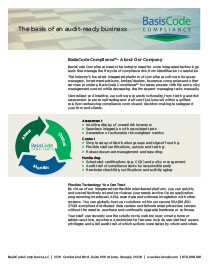 Integrates with third-party securities databases to ensure the reliability of your reference data. Sends requests for verification of accounts positions. Set firm-wide limits and track employee Gift & Entertainment (GEM) disclosures against defined thresholds. Employees can easily check limits and pre-clear activities. Notifications and warnings can be automatically sent to compliance staff and supervisors as exceptions occur. Further evidence that you are engaging employees in maintaining a culture of compliance, our Whistleblower module enables staff to submit anonymous tips of questionable compliance activities. 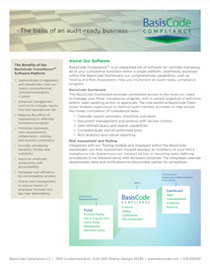 Tips are instantly sent to authorized compliance administrators, and securely archived. The Document Library provides authorized users with a centralized point of access to share documents online. It allows you to organize documents; filter documents by user, group or department; and make documents searchable for ease of access and improved version control.